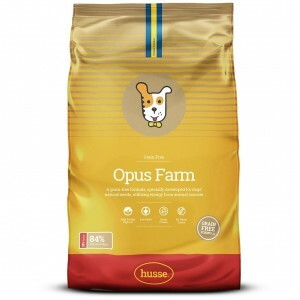 Opus Farm (chicken and potato) is a complete food. No colourants, preservatives, gluten or cereals. It is suitable for dogs whose owners prefer to give a grain-free formula, based on chicken and potato. The product contains carefully chosen raw materials of the highest quality. It is also suitable for dogs with sensitive digestive system. 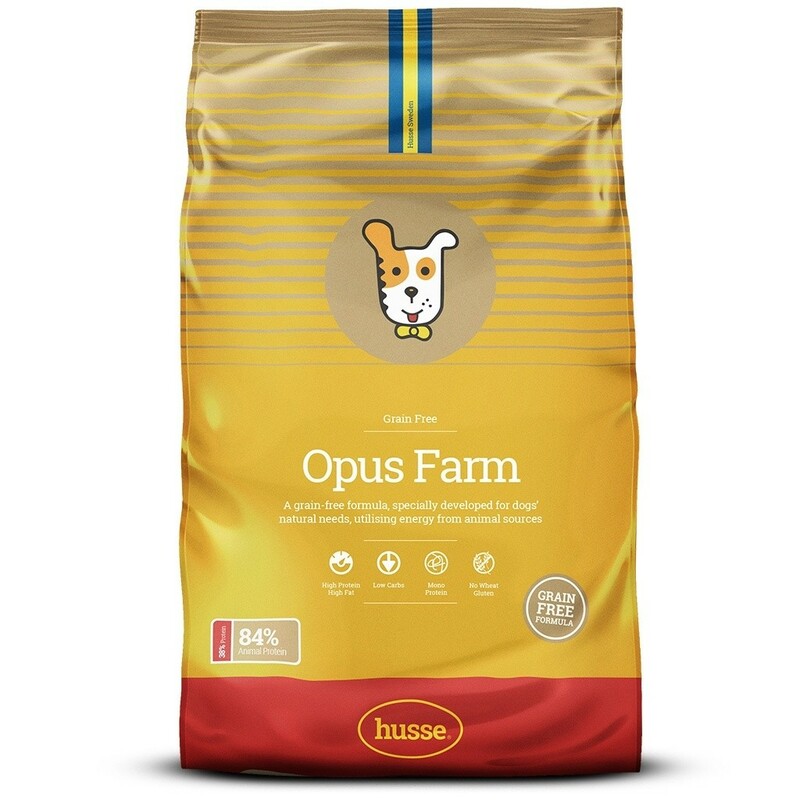 Opus Farm contains no cereals and is suitable for dogs with sensitive digestive systems. Highly digestible with carefully selected ingredients based on chicken and potato. 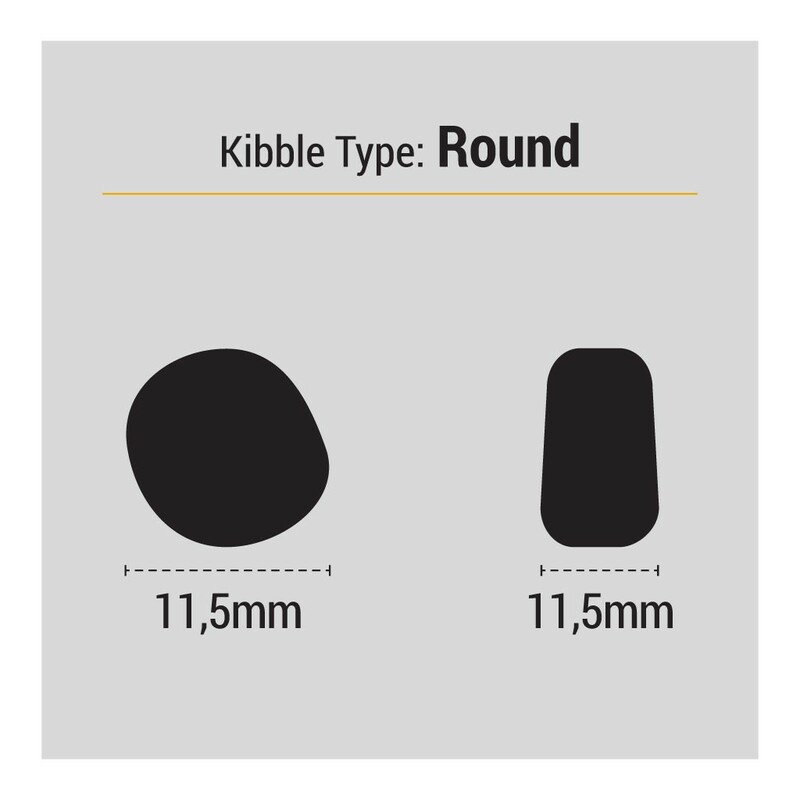 Potato is a highly digestible energy source which is very palatable for dogs and is a gluten free ingredient. The chicken and potato recipe is also free from any artificial colourings or flavourings and preserved naturally with a combination of natural tocopherols. Inspired by the diet of wolves: high in protein and fat, low in carbohydrates. High protein content helps maintain muscle mass. Low-carbohydrate diets are highly digestible and promote health due to their low glycemic index. Linseed as natural source of Omega-3 fatty acids. Enriched with copper to stimulate enzymes which maintain colour of the coat. Contains chicken as only animal protein source. First ingredient (chicken) = animal origin. Grain and gluten free formula; potato as n°1 source of carbohydrates. Contains fructo-oligosaccharides which favour ‘good’ bacteria in the intestinal tract. With vegetable fibres to promote intestinal health. Contains calcium and phosphorus to support healthy bones and teeth. Enriched with vitamin D for optimal absorption of phosphorus. 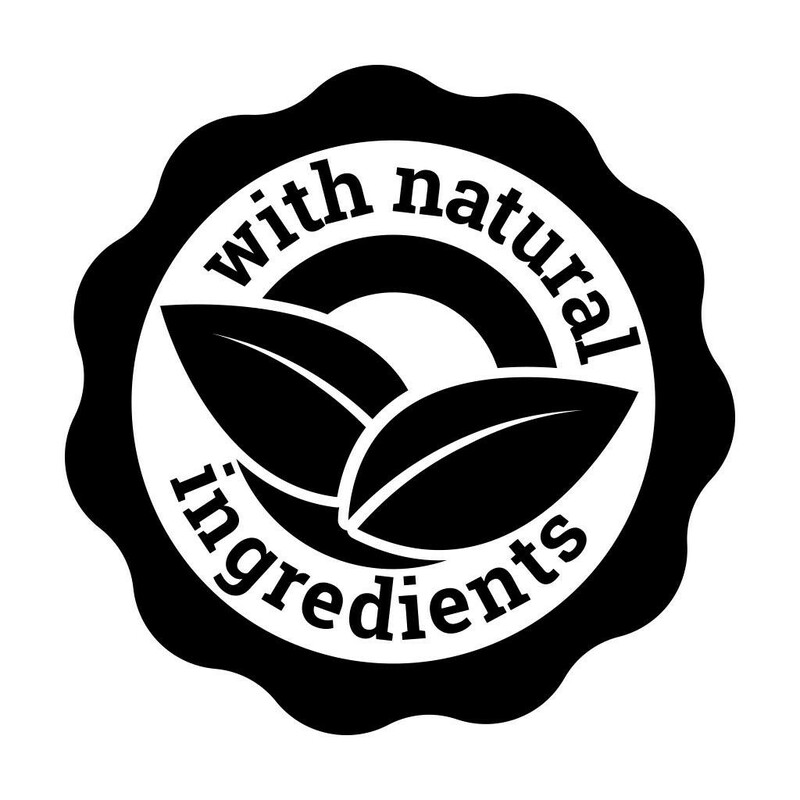 chicken, potato, dried peas, animal fat, linseed, vegetable ﬁbres, yeast, hydrolysed animal protein, salmon oil, salt, dried whole eggs, fructo-oligosaccharides (0.3%), lecithin, sea algae, Tagetes.